Enshrouded in clouds and perched surreally among the verdant slopes of the Andes, the grand temples and terraces of Machu Picchu in Peru are one of the most awe-inspiring sights on Earth. Widely considered as the most spectacular legacy of the Inca Empire, no trip to Peru is complete without a visit and for many the only way to experience it is by arriving on foot. Machu Picchu was declared a UNESCO World Heritage site in 1983 and amazingly it appears much like it did when Hiram Bingham re-discovered the site in 1911 thanks to carefully managed conservation programs. Following in the footsteps of the ancient Incas, visiting the impressive ancient Inca sites along the way, the Inca Trail to Machu Picchu has been coined by many as ‘the best short trek in the world”. 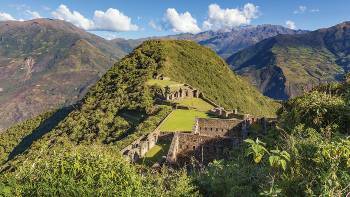 While the trek to Machu Picchu along the Inca Trail is only four days it should not be underestimated. You will be walking over hilly and rugged terrain with lots of stairs and the altitude should also be considered. The highest point of the trail is 4200m. 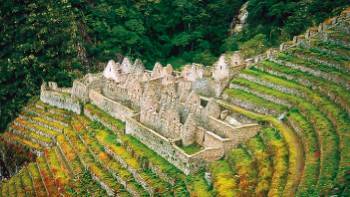 Hiking the Inca Trail is not the only way to get to Machu Picchu on foot. 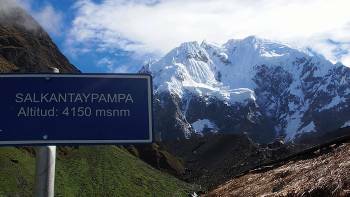 Treks along the Salcantay Trail provide an alternate route for trekkers looking to avoid the hassle of a permit and to walk away from the crowds. 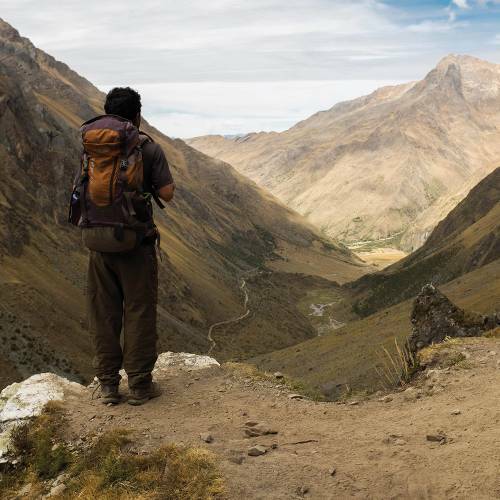 The Salcantay Trail is no less remarkable than the Inca Trail with an array of breathtaking scenery – from snow-capped mountains to cloud forests – that will make you feel closer to nature. 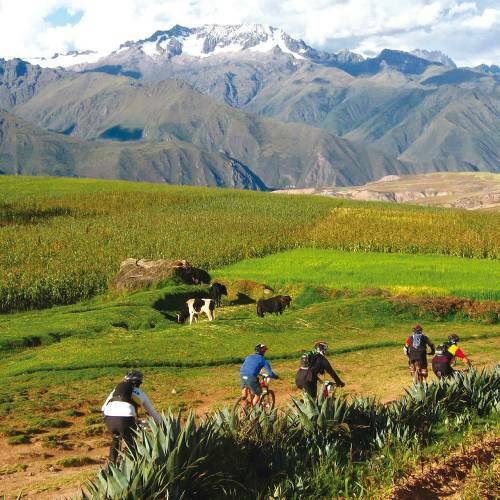 World Expeditions has specialised in high quality treks along the Inca Trail and to Machu Picchu for over three decades. 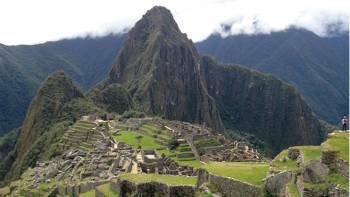 Join us on one of our amazing walking and trekking trips to Machu Picchu. 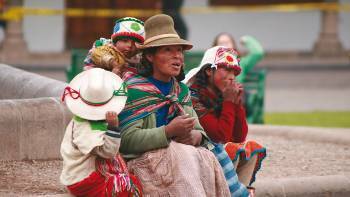 Walk to Machu Picchu along the Inca Trail or Salcantay Trail, or visit it by train one one of our cultural journeys. The former capital of the Inca Empire, Cusco is located at 3399m above sea level so it is advised to rest here and enjoy the sightseeing before heading on a trek. 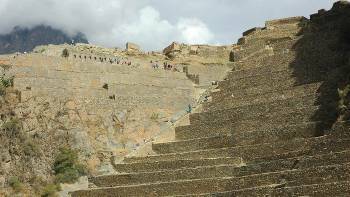 Following the the course of the famous Urubamba River, one of the main tributaries of the Amazon River, visit the valley to encounter enthralling citadels, fortresses and temple ruins including the site at Ollantaytambo. Hike around this spectacular, uncrowded trail, via lush valleys and alpine lakes, towards Machu Picchu. 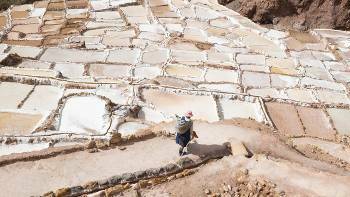 Located near this town in the Sacred Valley thousands of salt pools sitting on the hillside which date back to Incan times. The famous 4 day Inca Trail trek to Machu Picchu begins here. 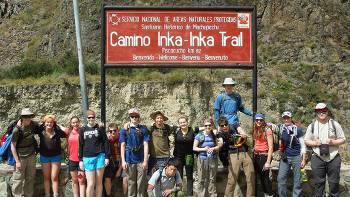 The trailhead ends at Chilca, and from there you begin your walk towards the Inca Trail. Our trips offer exceptional value for money featuring good quality, centrally located hotels and private transportation. We aim to incorporate as many inclusions as possible in the tour cost such as most meals, entrance and permit fees, transfers and gear hire. We proudly pioneered the first commercial Inca Rivers Trek in Peru in 2004, showcasing a remote trail to the north of Machu Picchu. As a result, our knowledge of the region and logistics is second to none, ensuring your adventure is unforgettable. Our wilderness camps are a step up in comfort. We provide comfortable beds and swags, not just a thin mat and sleeping bag, as well as private toilet tents. Responsible travel practice is at the heart of every program that we offer on our treks to Machu Picchu. 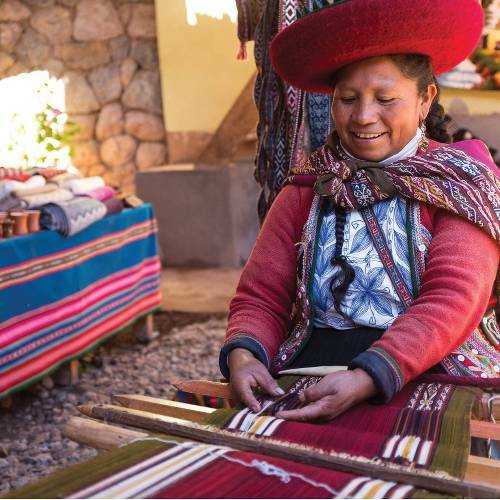 When you book one of our Inca Trail or Salcantay walking adventures you're supporting true sustainability in the protection of local communities, natural environments and wildlife. Just check out our feedback, the food on the trip might just be the best you'll eat in Peru, all prepared by your locally trained cooks. Whether you trek the Inca Trail or the Salcantay Trek to Machu Picchu you will enjoy our fully supported camping in quality two person tents erected in scenic wilderness.